We’d love your help. Let us know what’s wrong with this preview of After Anderson by Jamila Mikhail. The day that Anderson brought a gun to school was the day Aly's life changed forever. Her fellow classmates were murdered right before her eyes as her former best friend embarked on the deadliest high school massacre since Columbine. Now, nearly two years later, Aly sets foot in the halls that nearly cost her her life for the first time since the shooting, ready to face he The day that Anderson brought a gun to school was the day Aly's life changed forever. Her fellow classmates were murdered right before her eyes as her former best friend embarked on the deadliest high school massacre since Columbine. Now, nearly two years later, Aly sets foot in the halls that nearly cost her her life for the first time since the shooting, ready to face her demons. 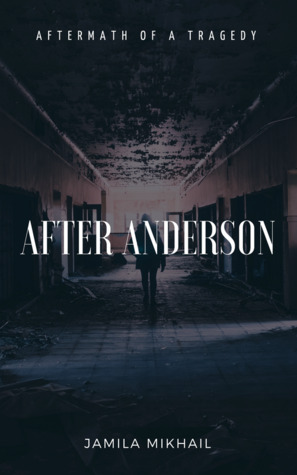 To ask other readers questions about After Anderson, please sign up.